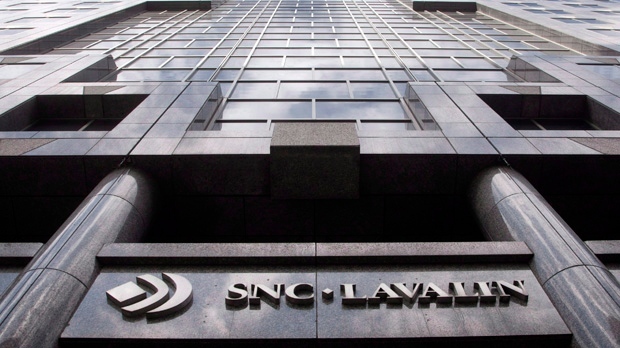 OTTAWA -- Justin Trudeau welcomed Monday an investigation by the federal ethics commissioner into an allegation that his office pressured former attorney general Jody Wilson-Raybould to help SNC-Lavalin avoid criminal prosecution. "We welcome the ethics commissioner's investigation," the prime minister said following an event in Vancouver, Wilson-Raybould's hometown. "This is an issue that has been much talked about over the last few days and I think it's extremely important that Canadians can continue to have confidence in our system." Wilson-Raybould, who was demoted to the veterans-affairs portfolio in a January cabinet shuffle, was a no-show at Trudeau's events in the Vancouver area, which were attended by a number of other British Columbia Liberal MPs. Trudeau said he met with her a couple of times since arriving in Vancouver on Sunday and said he continues to have "full confidence" in her. Wilson-Raybould has refused to comment on the allegation since it surfaced last Thursday, citing solicitor-client privilege. Her refusal to deny the allegation has fuelled the controversy, triggered by a Globe and Mail report that the Prime Minister's Office leaned heavily on Wilson-Raybould to instruct the director of public prosecutions to drop criminal proceedings against SNC-Lavalin and pursue a negotiated remediation agreement instead. Moreover, he appeared to suggest Wilson-Raybould would have resigned had she felt she'd been improperly pressured. Trudeau's comments came shortly after federal ethics commissioner Mario Dion confirmed he has launched an investigation into the allegation the PMO improperly tried to help SNC-Lavalin avoid criminal prosecution. The NDP had asked Dion to look into the matter. Long stressed he's not "rushing to any judgment," but believes "a full and transparent investigation" by the House of Commons justice committee is necessary to provide answers in the affair. For that reason, he said he supports an opposition motion to launch an inquiry. Conservatives and New Democrats on the justice committee joined forces to get an emergency meeting on Wednesday to consider a motion calling on nine high-ranking government officials to testify, including Wilson-Raybould herself. The list also includes Lametti, the prime minister's chief of staff, Katie Telford, and his principal secretary, Gerald Butts. "It is important to remember that while the attorney general sits at a certain distance from his cabinet colleagues, in Canada -- unlike in other countries -- he does not work in isolation from them, or the important experiences or considerations that those colleagues bring to the table. These discussions can improve the quality of decision-making," Lametti said. "But there is a line that cannot be crossed -- telling the attorney general what a decision ought to be. That would be interference. And at the end of the day, I abide by the long-standing principle that when acting as attorney general, I will apply my judicial mind to a decision, and not my political mind."